Hyderabad: Metro rail is soon becoming a preferred mode of public transport in Hyderabad. The L&T Metro Rail (Hyderabad) Limited shared that Hyderabad Metro patronage has touched to a whopping 20 million. The metro rail officials are ecstatic over the overwhelming support received from the people of Hyderabad. This figures come as good news and hint at the positive attitude of people towards metro travel. The Hyderabad Metro official shared the figures on Tuesday and thanked the people of the city for making metro service popular. 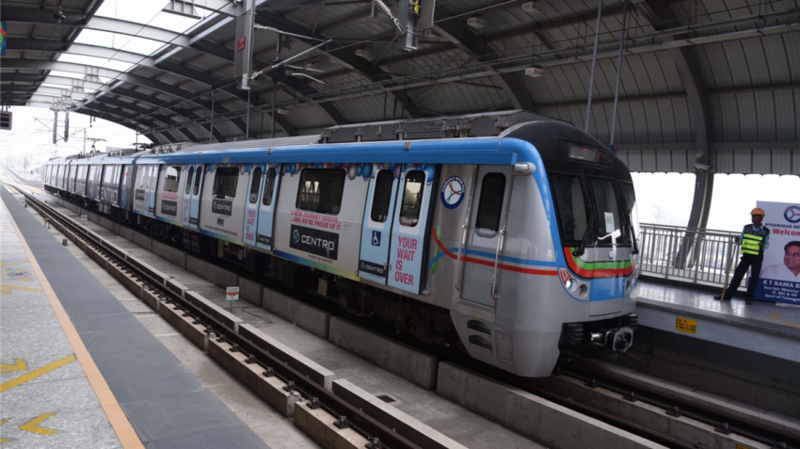 KVB Reddy, managing director and chief executive officer of LTMRHL in his statement “thanked the Hyderabadis for welcoming and embracing Hyderabad Metro Rail services in an “overwhelming” manner”. It was November last year that Prime Minister Narendra Modi had launched the 30 km stretch between Miyapur-Ameerpet-Nagole out of the 72-km long elevated Hyderabad metro project. As per the floor plan, there are 24 metro stations in the 30 km stretch that is made operational. It is the consortium of L&T Metro Rail (Hyderabad) Limited that is constructing the Hyderabad Metro Rail Limited (HMRL) project diagonally all the three metro corridors. As per the MD, the reason for such a wonderful response is the last and first-mile connectivity features. This has significantly improved the ridership rate with passengers have multiple options to travel to reach metro station. Reddy stressed they will take all necessary initiative to improve customer service and ensure stress-free travel. Metro officials have also offered free water and restroom facilities for commuters at all the metro stations. Reddy says that they are planning to several other facilities soon. The focus to consistently improve and upgrade services offered to metro commuters.